Owned by many of the "better halves" of our regular owners, Forty Four Red is a favourite with the ladies and he made their day with a strong all the way win at Ascot yesterday over 1600m. 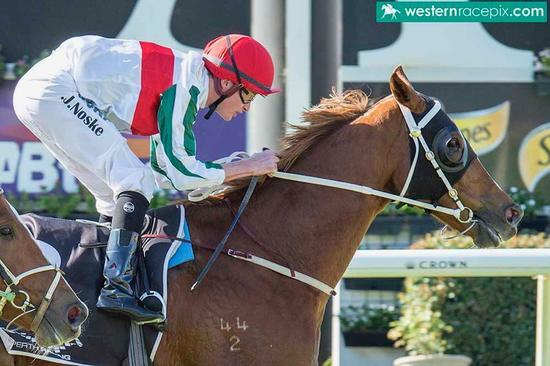 Well rated in front by stable jockey Jarrad Noske, the Congrats gelding with the stable-name "Big Tom" has now won 5 races and brought his stakes to over $100,000! He has been a consistent earner and has the potential for bigger and better things over the middle distances in the months ahead.